Friday’s quarter final between Japan and UAE has been tipped as one of the most exciting draws of the tournament, Japan in the Blue corner as the runaway favourites versus UAE in the Red, threatening to be the last surprise package that can make a decent fist of winning the title. The match also sets up the strongest two attacking line-ups in the tournament, with two of the most interesting talents in attacking midfield over the last few years in; Japan’s Keisuke Honda and UAE’s Omar Abdulrahman. Their hype and pressure from their visiting supporters apart, both playmakers have risen to the expectation as they at times carried their nation over the line. Honda has flourished in his new positional change, since being moved out wide by Javier Aguirre, providing a real threat from deep crosses to the back post, rather than his inventiveness in front of the attacking line. Abdulrahman hasn’t had his role changed too much, and remains integral to any chances of progression for the Emirati national side. His movement from the centre to the right and back again has made him a nightmare to keep hold of, with many so far resulting to dirty tactics to keep the young playmaker at bay. While it will be billed to see who out of the two attacking players has the greatest talent, the long debated issue of career progression will likely rear its head come Friday. 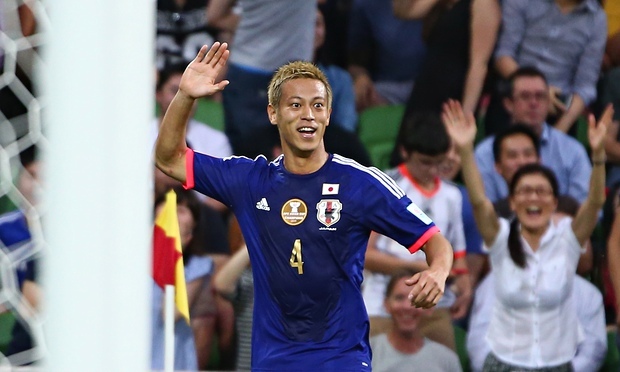 Honda left Japan relatively early to develop a strong career in Europe which now sees him playing for one of the World’s most recognisable club sides, nearing the pinnacle of European football. However, Abdulrahman has chosen the opposite route, opting to stay at home with Al-Ain, winning domestic titles aplenty in the process, while consistently rebuffing European advances. For years now football pundits have expressed the need for Omar to move to Europe to be a true Asian star, however if a possible performance that can put Honda in the shade can come before the weekend, it could force many to rethink their opinions of developing at home in Asia.